We must remain watchful over the ever-present market risk we face as investors as heightened political instability may require adjustments to portfolio asset allocations. It is for that reason that I recently invited foreign policy expert Peter Brookes to Denver to speak about challenges to international stability and security. Brookes, a Senior Fellow for National Security Affairs with the Heritage Foundation, provided an overview of the unsettled global geopolitical landscape. As he said, we’re living in challenging—and uncertain—times, especially overseas. Brookes referenced the ongoing terrorism conflicts in the Middle East as well as territorial disputes in Russia and China. There is also the ever-present threat of nuclear programs in hostile countries. Investors should have a discussion with their financial advisor to determine whether their portfolio is positioned to protect against these heightened risks. Be sure your asset allocation is consistent with your need for both return and risk management. Where appropriate you might want to consider alternative investments in your portfolios during periods of instability. Avoid the temptation to “time” the markets. Rather, adopt an asset allocation which is consistent with your need for return and risk. Global events can certainly affect the U.S. stock market. However, examining the impact of past global problems may help you better grapple with the economic and investment uncertainties of crisis events. Throughout history, the U.S. stock market has proved to be quite resilient over the long term, bouncing back time and time again from the impact of world crises. Of course, economic developments take time to play out and markets often remain highly volatile in the immediate wake of a world crisis. Aside from keeping history in mind, how might you cope in our ever-changing world? Remember to not get trapped in the noise as an individual investor. Avoid making kneejerk changes to your portfolio. Keep the bigger picture in mind, and evaluate your allocations from a long-term perspective. Challenging times will continue. We will be surprised despite our best efforts. That’s why keen attention to international affairs when constructing an investment portfolio will be key. 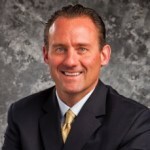 Todd Hauer is a Wealth Advisor with the Global Wealth Management Division of Morgan Stanley in the Denver Tech Center. 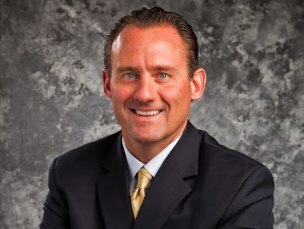 He can be reached at 720.488.2406 or toll free at 1-800-347-5099, or you can email him at Todd.Hauer@morganstanley.com.